United are pleased to announce that we have been selected by the globally successful Italian scissor lift company, AlmaCrawler, to become the Exclusive National Retailer for the Athena bi-levelling tracked scissor lift. This is an extremely exciting opportunity for United to be the Australian frontrunner for such a unique and innovative range of scissor lifts, and for all the future products to come. As said by our Managing Director, David Maxwell. “It is a huge achievement to be selected as Exclusive National Retailer by AlmaCrawler, the products of which are respected across five continents for their quality, excellence of engineering, manufacturing and service backup,” as said by our Managing Director, David Maxwell. Mr Andrea Artoni, left, and Mr Maxwell celebrate the new Exclusive National Retailer agreement for the Athena scissor lift. The unique and high quality constructed Athena scissor lift is acknowledged across the globe as an access problem solver. 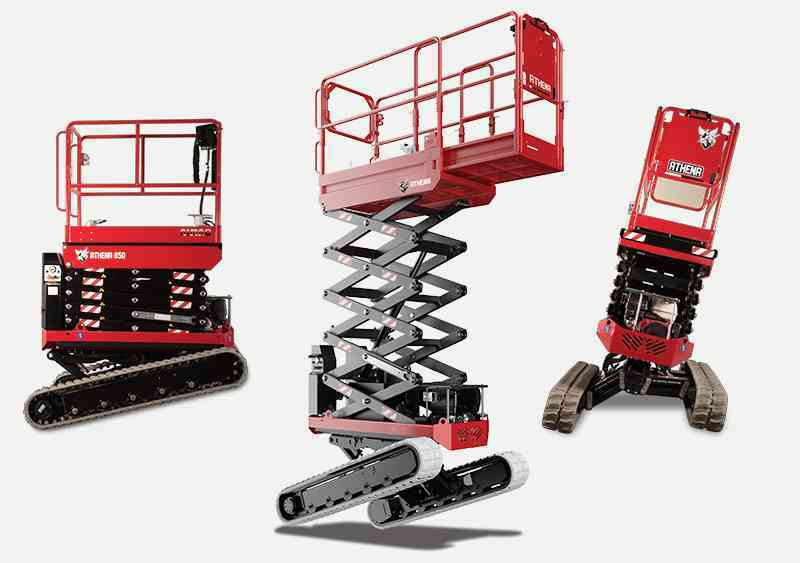 One of the key capabilities that gives the Athena an advantage over other scissor lifts is the advanced bi-levelling technology. A conventional scissor lift is usually limited to inclines of only 2-4 degrees and a levelled surface is required to raise and operate. 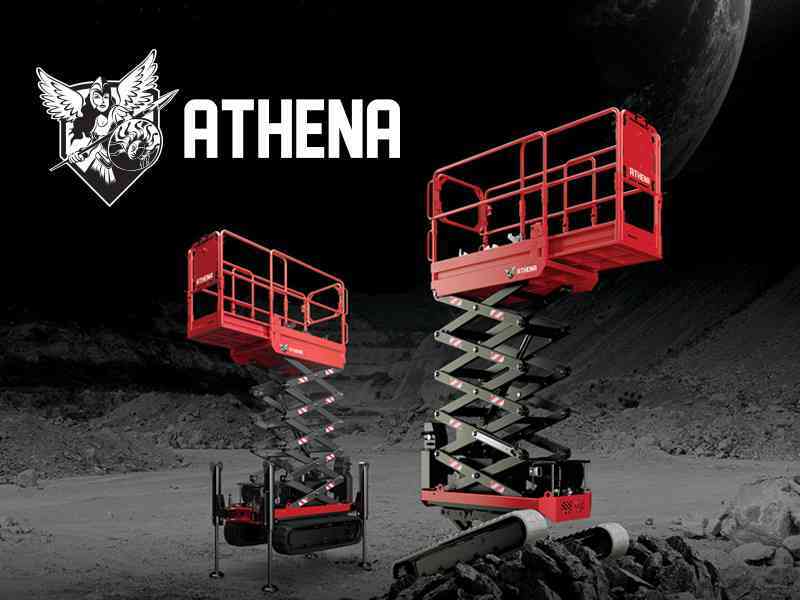 The Athena on the other hand can easily handle rough terrain and operate on inclines up to 20 degrees. This means the scissor lift will automatically level on its two axes to allow operation on even the most challenging terrain and slopes. Previously businesses would have been forced to erect scaffolding or use all terrain boom lifts on difficult sites, however the compact Athena solves this problem. The variety of Athena models available also provides businesses with greater flexibility to suit the application and site conditions. AlmaCrawler has also recently expanded its reach in the Australian market by opening its first branch in Sydney, under the name Almac Pacific Pty Ltd. 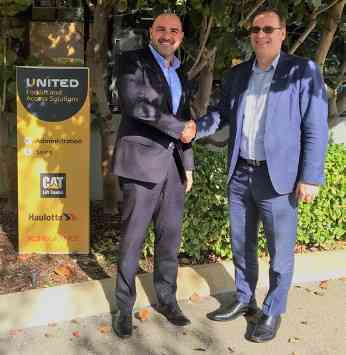 This will allow AlmaCrawler to effectively service and support the Australian market including United and its customers. United first introduced the Athena 850 into the product line in 2016. Since then, the Athena has made a large impact into the market and has successfully won international and national awards due to its outstanding design and performance. This includes the international (IAPA) and Australian New Product of the Year awards (HRIA). These were followed up in Australia last year with the Safety Solution of the Year win in the Endeavour Manufacturing Awards.